Fronted by Matt Owens (bassist of Noah & The Whale), rockers Little Mammoths have recently finished their debut album - and have just put up a couple of tracks online, Out For Glory and Way Out West. After seeing the band play a sort of album preview show back in October, I'm really looking forward to hearing the record, it was a very fun show! Though I'll be busy at King Charles' London date of his tour, I wish I could make the Little Mammoths headline show at Cargo on 18th Feb, tickets and info are here. Having recently supported James Bay on tour over in America, been nominated for the Brits Critics' Choice Award, and various other great achievements - 2016 is looking pretty great for Frances. She's currently working on her debut record, and has just announced some UK dates for May, with a show at London's KOKO on 18th May. 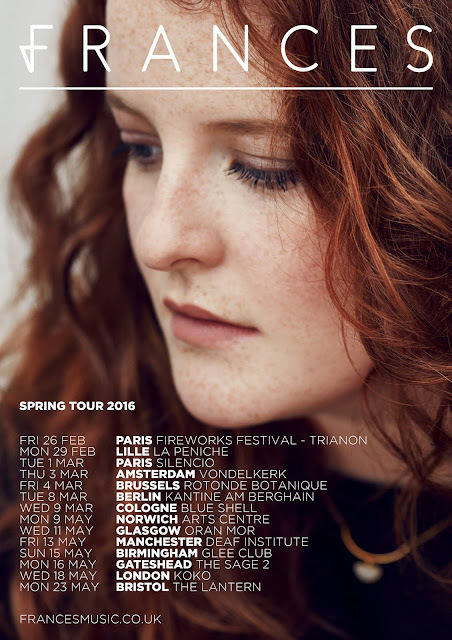 I first saw Frances on the Communion New Faces tour and since caught a bit of her set at Bushstock, as well as an instore at Truck Store in Oxford, she's a mesmerising performer so get along to a show if you can! Tickets are on sale on Friday at 9am, with some presale tickets available through DICE here. 2016 has kicked off in style for Jack Savoretti, who's been a favourite of mine for a while. Last Friday saw a slot on Friday night TV with a performance on The Graham Norton Show, his album has since peaked at top 3 on the iTunes chart, and he's got a UK tour coming up across Feb/March. He recently released a new version of his fourth album, Written In Scars, with a couple of new tracks (including Catapult, for which he's just released the above video) and live tracks, and he's gaining more and more success. The February tour takes in places that were missed on Jack's recent UK tour in October, which means London was missed out on the original announcement, but an acoustic show at Cadogan Hall has recently been announced, which sold out on general sale in under 10 minutes - so I'm feeling very relieved to have got tickets for the show on the presale last week, it's going to be a really special night. I'm so chuffed that everyone is finally realising how fantastic Jack's music is, and if you haven't listened to him yet then I hugely recommend checking out his latest record. Tour dates/ticket info are on Jack's site here. After selling out London's Waiting Room in December, Pixel Fix announced another London show for February - and they've just added an Oxford date at the O2 Academy 2 on 5th February. As the show is just after I start the next semester at university and my halls are a short walk away from the venue, I'll try and get to the Oxford show. I saw the band on the Communion New Faces tour back in November 2014 (alongside Amber Run, Kimberly Anne and Fyfe) and was impressed by their set and enjoyed their EP but haven't really kept up to date with them since, so it'll be interesting to hear new music! 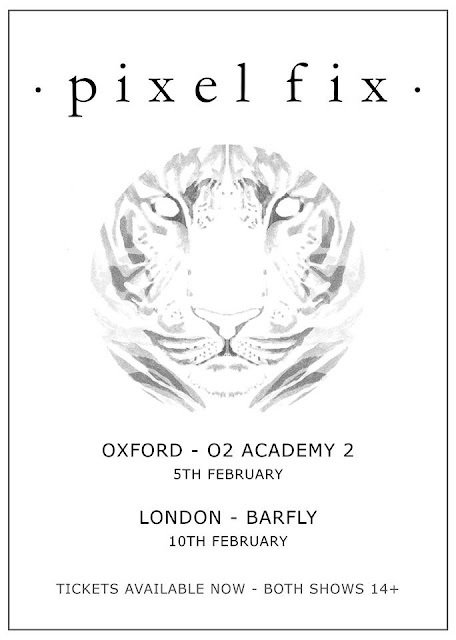 Tickets for the Oxford show are on sale from Saturday, and London tickets are available here.